Double chocolate brownie cakes — Pip and Ebby - easy, delicious recipes! This is Week #6 of my 2011 cooking challenge! Click here to view all recipes from this challenge. All recipes created for this challenge come from the Food & Wine Annual Cookbook 2010. 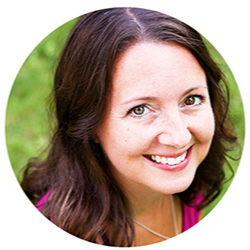 Although I do adore chocolate, there are a handful of foods I place before it on my Foods I Love list. I rarely crave chocolate, but if it is set before me I will not turn it down. There are only a few chocolatey treats that make my stomach rumble just by thinking about them. Chocolate caramel brownies are one, Twix bars are another, but that is basically it. So when I set out to make this recipe, I thought, Eh, I'll be able to resist them, no problem! Sooo I was kinda wrong about that. Once I sunk my teeth in for my "test bite," I knew I was in trouble. These little "cakes" are perfectly delicious. They are rich, but not too rich. They are just the right kind of chocolatey gooey-ness. 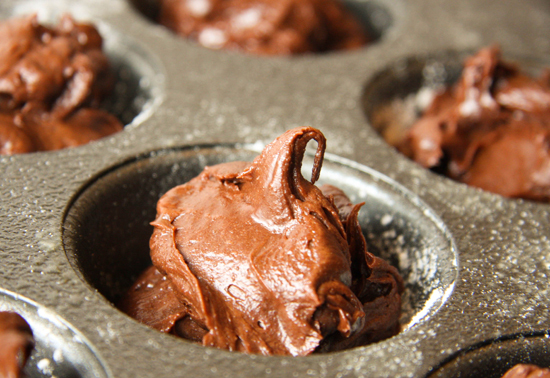 Preheat your oven to 350 degrees F. Butter and flour 8 cups in a standard-size muffin pan. In a small saucepan, melt 1 stick, plus 2 tablespoons of butter. Add 1 ounce of chopped milk chocolate (or milk chocolate chips) and whisk until it is melted. Let cool. Using a handheld mixer, beat together until pale and thick, about 5 minutes. Beat in 1/2 teaspoon of vanilla extract. Beat in the melted chocolate-butter mixture and the dry ingredients in 3 additions, scraping the sides of the bowl occasionally with a rubber spatula. Stir in 4 ounces of additional chopped milk chocolate (or milk chocolate chips). The mixture will be a bit chunky. Spoon the batter into 8 muffin cups and bake for about 22 minutes, or until the cakes are risen and springy. Let the cakes cool and turn them out onto a wire rack. Serve warm, with ice cream. Mmmmmmmmm. These little "cakes" are perfectly delicious. They are rich, but not too rich. They are just the right kind of chocolately gooey-ness! Preheat the oven to 350 degrees F. Butter and flour 8 cups in a standard-size muffin pan. In a small saucepan, melt the butter. 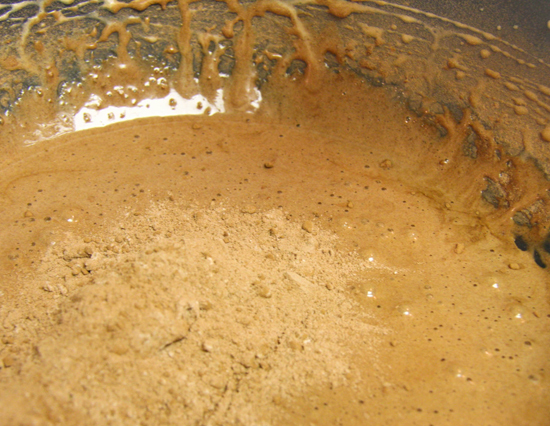 Add one-fifth of the milk chocolate and whisk until melted. Let cool slightly. Let cool slightly. 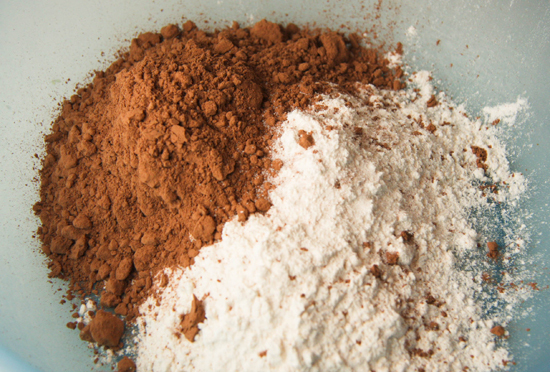 In a small bowl, whisk the cake flour with the all-purpose flour, unsweetened cocoa powder and salt. 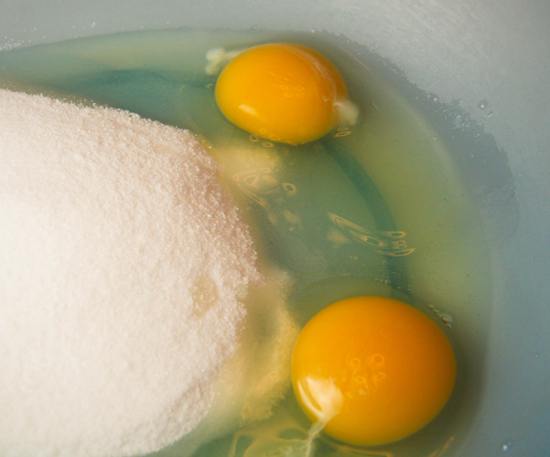 In a large bowl, using a handheld electric mixer, beat the eggs with the sugar at medium speed until pale and thick, about 5 minutes. Beat in the vanilla extract. Beat in the melted chocolate mixture and the dry ingredients in 3 additions, scraping down the bowl occasionally with a spatula. Stir in the remaining chopped chocolate. Spoon the batter into the muffin cups and bake for about 22 minutes, until the cakes are risen and springy. Let the cakes cool in the muffin pan for 15 minutes, then turn them out onto a wire rack and let cool for 15 minutes longer. Serve warm, with ice cream.